When ClipCube Media develops a website for a customer, the planning stage is crucial for a successful project. 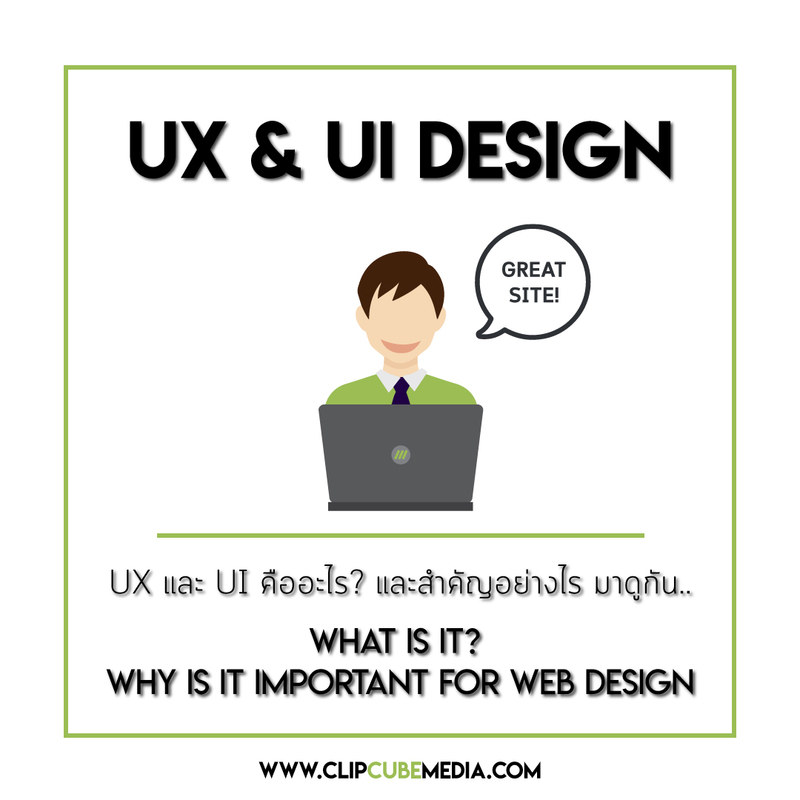 Understanding the company's business, brand and positioning, target market and how they want to approach with their audience is fundamental in developing a User Interface (UI) which projects a User Experience (UX) which emotionally engages the audience to follow a path to view further pages and take action. UX, which stands for user experience, is the process of researching, developing, and refining all aspects of a user’s interaction with a company to ensure the company is meeting the user’s needs. A UX designer must ensure people find value when they interact with a company’s products or services. a UI designer is responsible for the presentation of a product. A UI designer’s responsibilities are more about cosmetic than a UX designer’s. But that doesn’t mean a UI designer just picks some pictures and a logo and calls it a day. A UI designer is responsible for how everything on a page aligns in relation to each other. The visual elements you see on a page, such as buttons and icons, and the interactivity of a product, falls on the UI designer. The breaking up of these 2 design elements allow us to ensure the correct information is communicated in a way which the user will be positively engaged. Positive being the key word. Some elements that provide good UX for your website. Though this is a standard feature, many old sites are not optimised to adapt to different screen sizes whether PC, mobile or tablet. This is known as a responsive design, and must be tested across different platforms and screen sizes. A user-friendly website will try to achieve time-saving designs. Users typically visit the website with specific intention and want to find what they are looking for as soon as possible. This can be done by providing easy to use design and logical navigational flow. Simplify the design and make a concise and clear path of layout. Focus on enabling users to do one action at a time on each point of the site. It should recognizes what users need and efficiently navigate them. If your website has a lot of information, try to make your site displaying only the most relevant information and make it visible only when users need to. This will ensure users won’t be bombarded by those information and distracted from their goal by irrelevant content. Gone for the unnecessary distractions and clickbaits, instead recent trends concentrate more on spotlighting relevant content for users. The goal of content-oriented user experience is to ensure nothing will prevent users from seeing the website’s content. To do this, you have to visually adjust the design to help users concentrate on your message. Organizing the visual order precision to highlight contents and put them in order what you want your users to see first. You can eliminate irrelevant details in the content which help users focus more on important information creating a more concise experience. You can try using different colors for Call To Action links, connect to related information via anchor links and engage users via interactive features. Make sure to utilize blank space between content for breathing room and make the design more simplistic and easy to navigate. Video content is needed to create a minimum user experience. People tend to spend more time watching video than reading. Video content communicates more efficiently, especially when you are explaining something more complex (try Explainer videos) and less time. Keep in mind the upcoming vertical video trend, users spend more time on mobile phone than laptop or desktop, so considering doing vertical orientation video. Google and other search engines want to provide the best search result for each search entry. The best search result for in Google’s terms, is not necessarily the best or most accurate result, but also the best experience. They take into consider many factor like whether your website has been optimized, page loading speed and security.Google also uses users behaviour to know how they experience your website. It remembers the pattern of user behavior on your website. For example; Google remembers if the users leave your site quickly, or spend more time on your site. Site speed affects how user feel about your site, it's like a first impression. You can still get decent rankings with average page speed, but it's been proven time to time that the better your site speed is, the better your ranking will be. Try optimizing images, compressing code, loading less external scripts, widgets. Your website host can be factor as well, cheap service offer can damage your site speed. Consider the host with quality service, it will cost more but worth it in the long run. A website with SSL secured outrank another site without it. If your site isn't secured, users will see a warning in their browser before they enter any information which is the potential of losing visitor's trust. See our blog on SSL security. Users tend to use mobile device more than desktop to access the internet nowadays, having your website optimized for mobile users is part of improving UX. Mobile-friendly websites get a ranking boost on Google, it does even state in search engine result page as well whether certain site is mobile-friendly or not. ​Having a clear site structure leads to better understanding better understanding of the site by Google, and easier for users to navigate through it. As your site grows, it'll get cluttered. Your site products or contents will grow more and more eventually. We suggest having a routinely maintenance to get into site structure and improve upon it as it has huge impact on User Experience.It's crucial for SEO to evaluate and improve internal and external linking on a regular basis, and make sure Google understand relationship and relevance of those pages. ​It's crucial for SEO to evaluate and improve internal and external linking on a regular basis, and make sure Google understand relationship and relevance of those pages. It is also good for users to seek for more information within the page by navigate through those links.